PARIS --- While Airbus and Leonardo-Finmeccanica finally confirmed this month that they are discussing a restructuring of their respective stakes in regional turboprop maker ATR and European missile maker MBDA, many observers doubt an agreement is possible. Interestingly, Airbus Chief Executive Tom Enders used the same “constructive talks” expression when he confirmed for the first time last week that his company was discussing the acquisition of Leonardo’s stake in MBDA, Italian financial daily IlSole14Ore reported Oct. 15. Leonardo wants total control of Toulouse, France-based ATR joint venture company, of which it already owns 50%, because it believes a single company could generate better margins, and also because Airbus is blocking development of a new generation of 90-seat aircraft that ATR needs to maintain its dominant market position. Airbus owns the other 50% of ATR. On the other hand, Moretti has made no secret that he does not consider Leonardo’s minority stake in MBDA to be a strategic asset, leading some observers to conclude that an asset swap was a mutually-attractive option. Airbus is said to want to buy Leonardo’s MBDA stake to avoid it falling into unfriendly hands, or being sold to a competitor. With Airbus wanting to buy Leonardo’s stake in MBDA, and Leonardo wanting Airbus’s stake in ATR, an asset swap would seem logical and straightforward, but many political, industrial and financial obstacles could well stymie such plans. While Airbus is not much interested in the regional turboprop market, it is wary of selling its ATR stake because it would allow Leonardo to grow ATR’s maritime patrol and military mission aircraft, which directly compete with the C295 military made in Spain by Airbus Defence and Space. 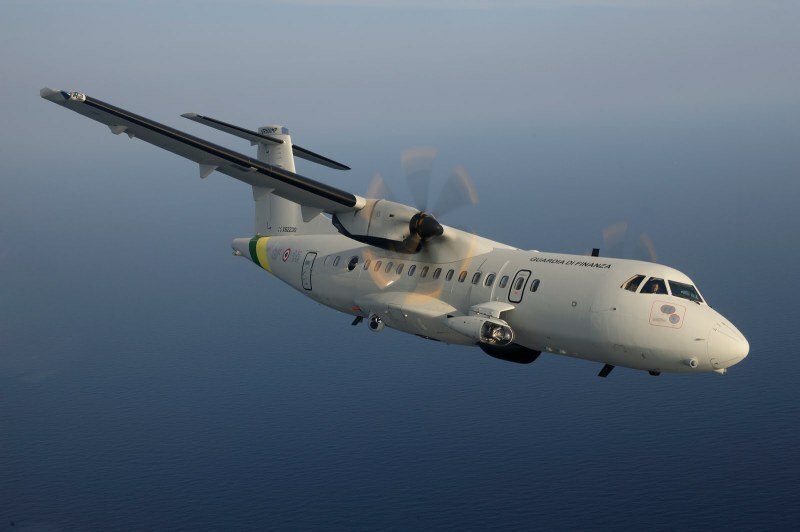 ATR maritime patrol aircraft operated by Italy and a handful of other countries are highly regarded, and because of the size of the ATR world commercial fleet their support would prove simple and relatively inexpensive – a major competitive advantage. A wholly-owned ATR would also provide Leonardo with the complete civil aircraft program it currently lacks, and help its civil aviation business develop from today’s subcontractor status to full-fledged manufacturer. ATR posted sales of about $2 billion in 2015, and Leonardo’s annual report for 2015 notes that “there are interesting prospects for the development and launch of a new-generation model.” In Asia-Pacific alone, ATR foresees demand for 750 of its aircraft over the next decade – half as many as it has sold worldwide since 1981. A major argument in favor of taking over ATR is that the regional government of Campania (the region around Naples) has promised about 600 million euros in subsidies for maintaining regional jobs, while more public funds are available in other regions of southern Italy, where Leonardo has spare production capacity. “It’s complicated, because we must talk to Airbus and understand what they want,” Leonardo’s Moretti also said Oct 19. “As far as we are concerned, we are determined to re-launch our Campania site, which has no future outside of ATR,” according to the Analisi Difesa website. Yet, because ATR is based in southern France, where it also carries out final assembly and where its supply chain is largely located, Leonardo would have a hard time shifting final assembly to its Pomigliano d’Arco factory near Naples, where it already makes complete ATR fuselages and tail fins. The cost of the move, of retraining personnel and of qualifying new subcontractors and suppliers would likely cost more than the promised government subsidies, and Leonardo would then have to finance alone the next-gen aircraft that the regional turboprop market needs. MBDA, on the other hand, offers fewer growth prospects for Leonardo – which owns a 25% stake, compared to 37.5% each for Airbus and BAE Systems – as long as Italy’s spending on missiles remains in the doldrums. Nonetheless, by virtue of its shareholding, Leonardo also owns 25% of MBDA’s cash pile, currently estimated to be worth 2.4 billion euros, which makes it a financially attractive takeover target. But disposing of Leonardo’s MBDA stake, according to some sources, would run into opposition from trade unions and politicians, who fear industrial and technological repercussions on its Italian facilities. MBDA SAS, the trinational joint venture company based in Paris, owns 100% of MBDA Italia, the subsidiary which owns Italian know-how and technology in the field of missile systems. This is one of the strategic technological areas identified by the Italian government that must remain in-country. A 2014 prime ministerial decree (in Italian—Ed.) identified “advanced missile systems” as one of the strategic capabilities in which the state can “limit the transfer of key strategic capabilities on the grounds of national security.” This decree also gives a wider definition of these capabilities than previous legislation, and now includes “research, design, development, production, life-cycle support and the supply chain” which the government has said it would protect. This does not mean these capabilities must remain under Italian ownership, but they must remain located in Italy, which severely limits the attraction for a prospective buyer such as Airbus because it will find its hands tied, or severely constrained, in case of any restructuring, reorganization or rationalization measures. Whatever the pros and cons, Il Sole reported that Airbus has offered 1.1 billion euros for Leonardo’s stake in MBDA, a sum which it said puzzles Italian defense ministry and trade union officials who wonder what ultimate goal the French-based group is pursuing. Industry insiders say that Leonardo values its MBDA stake at over 1.3 billion euros, including about 650 million euros for the business and about as much again for its share of the company’s cash pile, valued at around 2.4 billion euros. Banca Akros, an Italian bank also quoted by Il Sole, values Leonardo’s MBDA stake at about 1.5 billion euros, so Airbus would have to sweeten its bid if it is to prevail. Paying such a premium could be questioned by Airbus shareholders, while the company would risk a veto by the Italian government, to gain an asset over which it would have ownership but little control. Another Italian investment bank, Banca IMI, estimated the value of Leonardo’s MBDA stake at about one billion euros, according to an earlier Il Sole report, while a half-share of ATR is valued at 887 million euros. Airbus’s 50-percent stake in ATR is valued by Banca Akros at about 800 million euros, or about half of its annual sales, so if the swap were to go through Airbus would have to add about 700 million in cash to even out the transaction. Such differing valuations are also hampering an asset swap, which would require a substantial cash injection by Airbus.